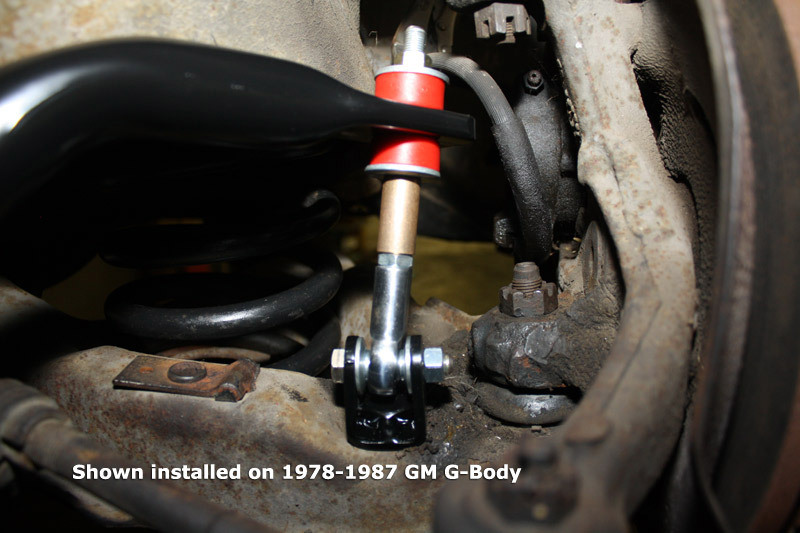 1.375" Front with Spherical End Links & 1.00" Rear Chrome Moly Sway Bars Set - 1978-1987 GM G-Body: Regal, Malibu, Monte Carlo, etc. 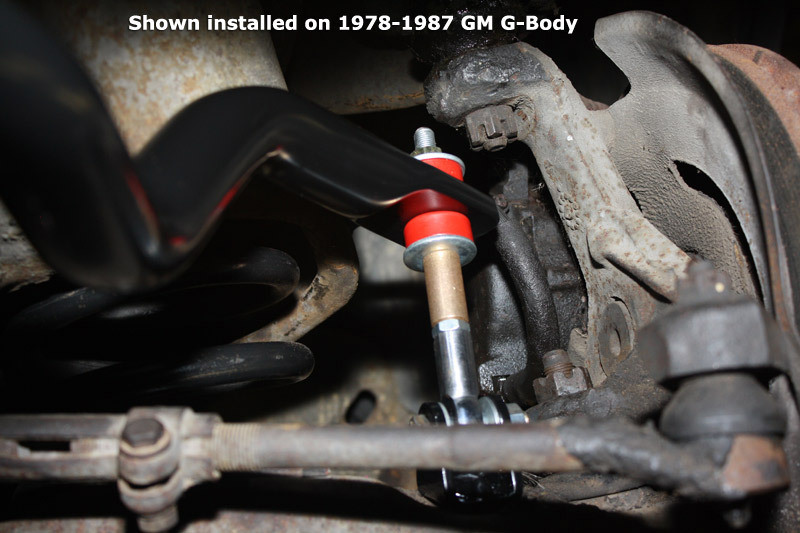 Our sway bars for the 1978-1987 GM G-Body cars are the single biggest handling improvement you can make. They dramatically reduce body roll and increase your cornering capabilities. 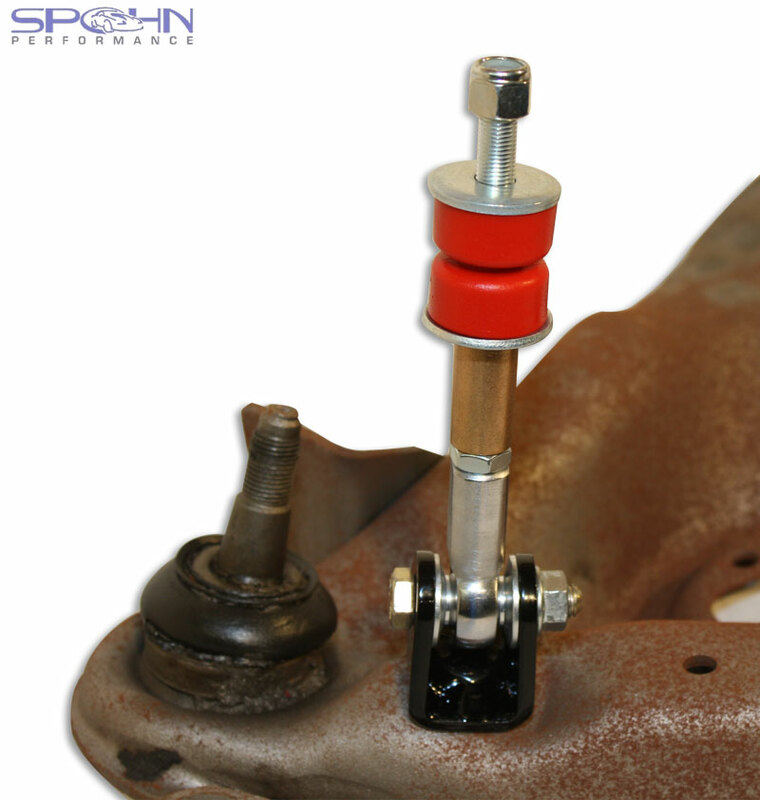 Don't skimp on the foundation of your suspension! Our sway bars are larger, stiffer, and stronger 1-3/8" diameter front (hollow) and 1" diameter rear (solid) chrome moly sway bars to reduce body roll and provide predictable handling (matched sizing for balanced handling). Our 1.375" diameter lightweight tubular front sway bar is made from 3/16" wall 4130N chrome moly tubing. 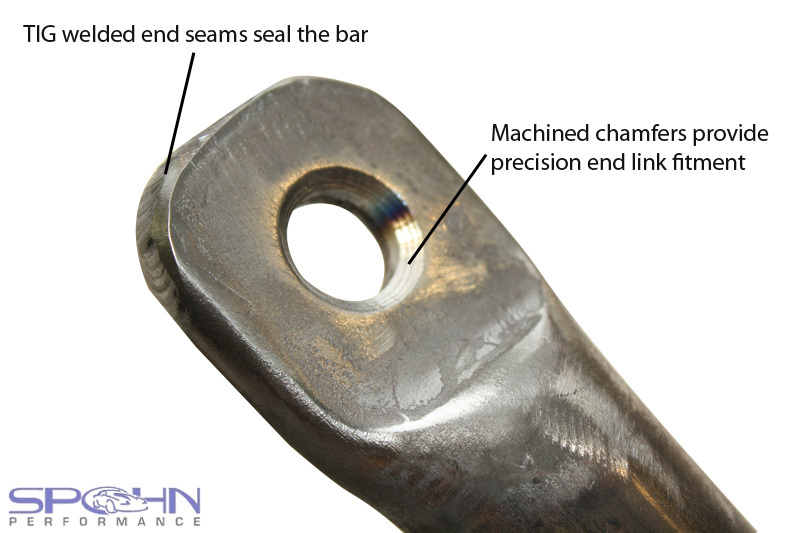 This bar is precision CNC formed and coined as one piece. 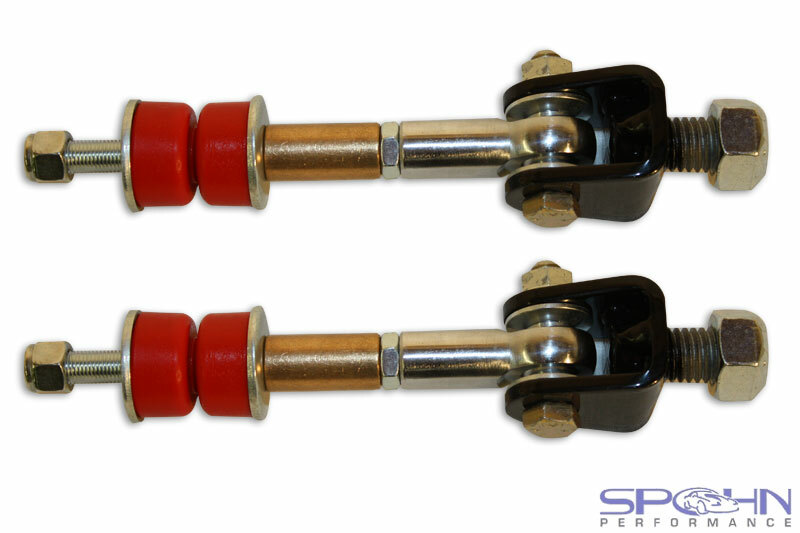 The top of our spherical front sway bar end links connect to the front sway bar with low deflection polyurethane bushings. A silver zinc plated high strength 4140 chrome moly threaded stud keeps everything connected together. Our 1.00" diameter rear sway bar is made from heat treated solid 4140 chrome moly spring grade steel. This bar is entirely heat formed as one piece for maximum durability and minimal shape alteration under load. We put our sway bars through this extensive manufacturing process to ensure that the final product will be the strongest, and most durable sway bars on the market, and the most resistant to form alteration. 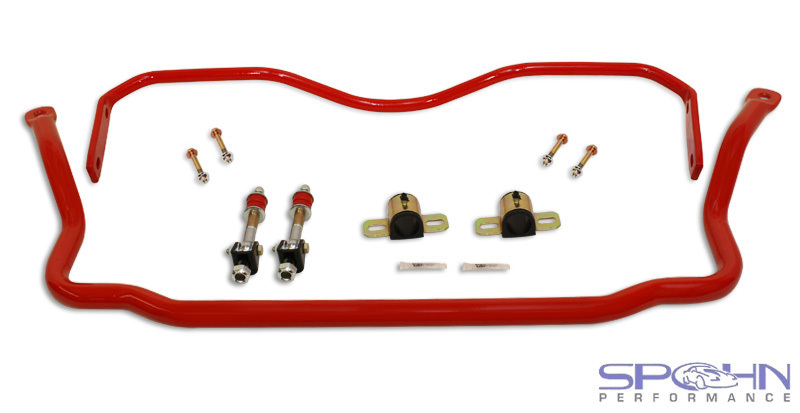 This sway bars set includes new greaseable polyurethane front sway bar bushings and spherical end links, and new Grade 10.9 rear sway bar mounting hardware. 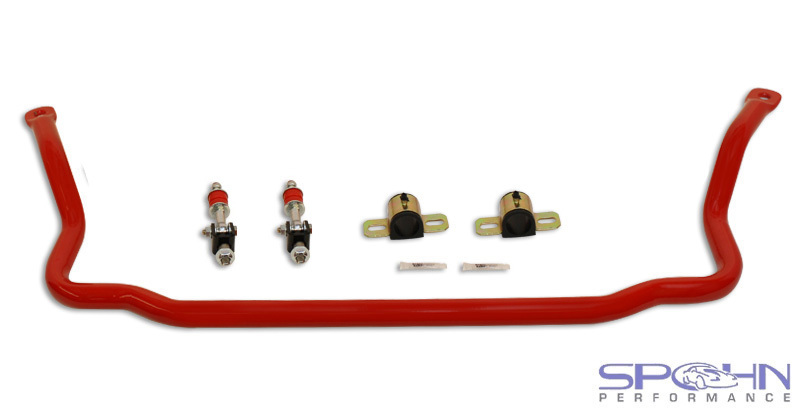 Everything you need for an easy bolt in installation and maximum performance! They're available powder coated in your choice of the above colors for a brilliant and durable finish.